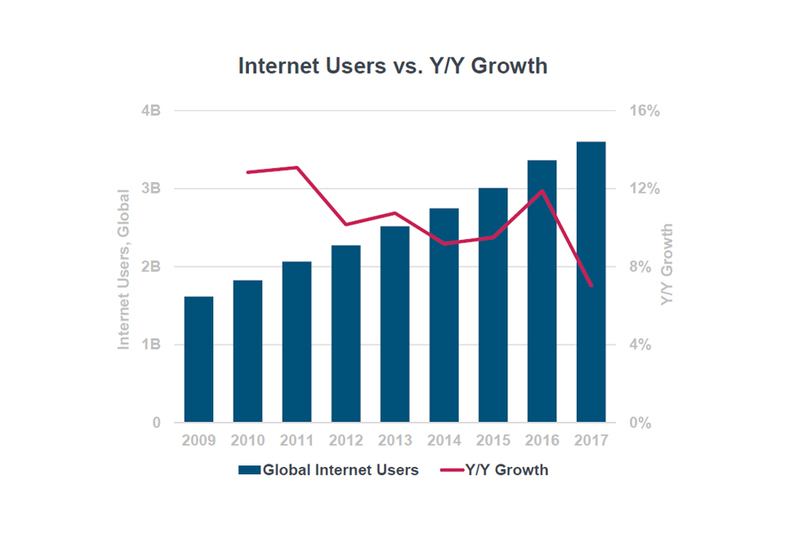 Every year, Mary Meeker of Kleiner Perkins releases a report showcasing the current trends in the internet and technology space. This year, we filtered through 294 slides and summarised what we thought were the most interesting stats. If you want to see the full report, click here. Over half the world population, or about 3.6 billion people, are on the internet as of 2018. This is thanks impart to the affordable smartphones and Wi-Fi options that have become widely available. U.S. adults are online more than ever before. In 2017, they spent 5.9 hours per day on digital media, up from 5.6 hours in the previous year. Most of these hours were spent on mobile devices (3.3 hours). As mobile devices and data plans get cheaper and as Wi-Fi access becomes a commonality, it's no surprise that consumers are watching videos on the go despite having to do so on smaller screens. Consumer behaviour is shifting towards subscription services, which are seeing tremendous year on year growth, driven by access, experience, price, and personalisation. A Netflix subscription, for example, only costs a few dollars a month, and grants consumers access to almost an unlimited amount of content. As apps collect more data about their users, they can create richer features and content at a more affordable rate. But this comes at a cost, they must ensure that this data is protected and not improperly used. When you combine live streaming with gaming, you get a recipe for endless hours of entertainment. Twitch users alone have generated almost 18 million hours of streamed content in 2017. 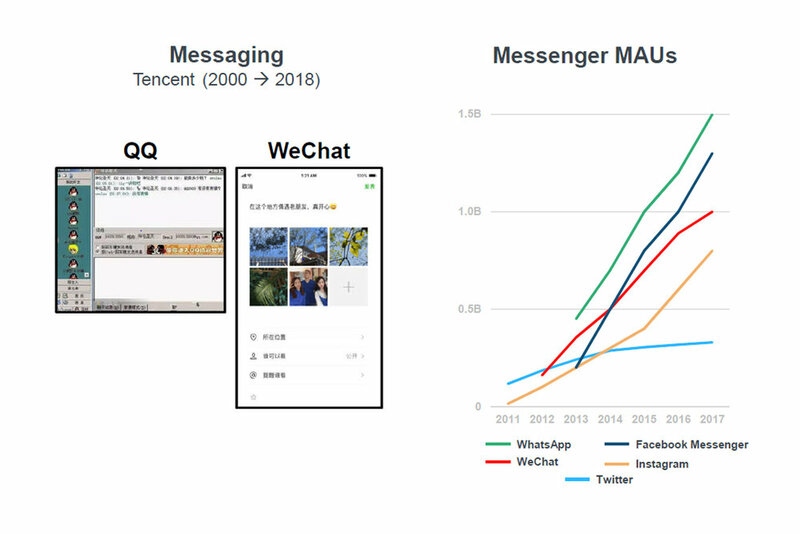 WhatsApp, WeChat, and Facebook Messenger continue to grow with billions of users. Voice controlled products aren't just a fad. Amazon Echo's installed based in the U.S. grew to over 30 million at the end of 2017. And the number of Echo skills developed by users and businesses continue to soar. This is an exciting time for voice controlled products. 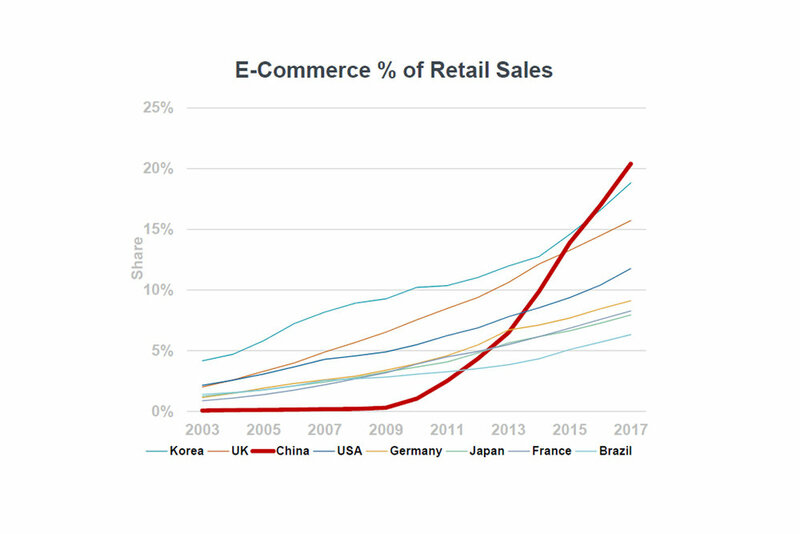 E-commerce continues to take a bigger percentage of retail sales worldwide, with China leading the way. Instead of lifestyle apps and games, consumers are shifting more of their time towards shopping, entertainment, and business apps. Gone are the days when people were afraid of using their credit cards online. As digital payments become increasingly simple, easy, and flexible, it's no surprise that 60% of all transactions were digital in 2017. 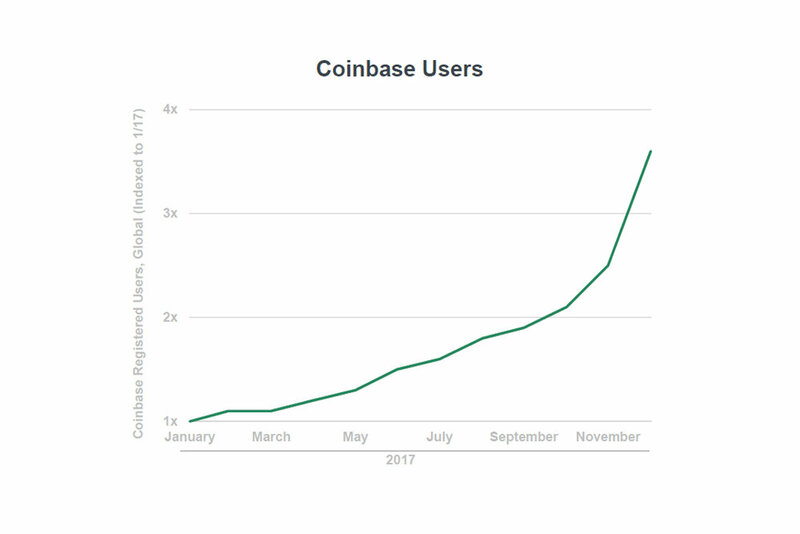 Interest in cryptocurrencies are growing exponentially, as Coinbase quadrupled their user base last year. It's still very early for these types of currencies, but it may very well be the future of payment and finance. There's a large gap between the percentage of time spent on mobile versus the percentage of ad spending on it, presenting a $7 billion opportunity. Mobile advertising spend has clearly surpassed desktop advertising for the first time. People are discovering new products on social media platforms. In the US, 55% of consumers bought a product online after learning about them on social media. Public and private investments in US tech companies are trending towards its all time high. And tech companies are leading the way on research, development, and expenditure. China is becoming a tech powerhouse. Only Tencent and Baidu was on this list 5 years ago. This is a new and interesting trend. Consumers can find and book physicians and meet them a different locations, get health insurance subscriptions, and have their medications delivered on demand, via apps. People are looking for flexibility and creating their own schedules, both in their personal and professional lives. This is why on-demand hospitality, transportation, and e-commerce platforms are growing rapidly. 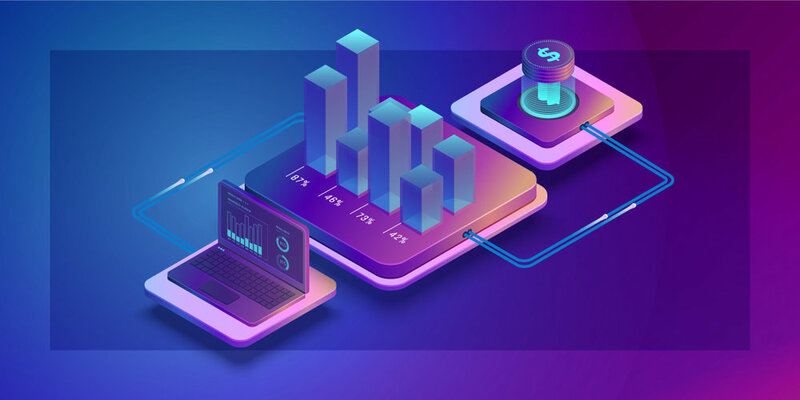 With these platforms, they can easily create an additional stream of income, replace their current full time job, or launch their own business. It's no surprise that on-demand transportation trips are on the rise, as it provides a more affordable and flexible alternative than having to own a vehicle. This is just a small taste of what we thought were some of the most interesting highlights of Meeker's report. If you want to indulge in one of the most comphrensive tech reports on the market, click the link below.